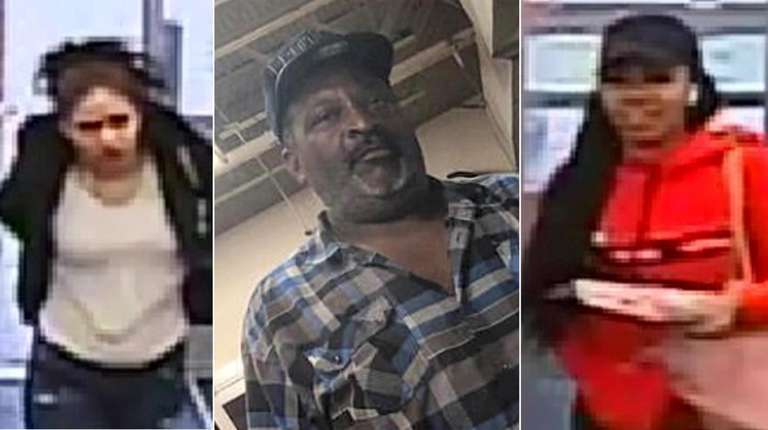 Two women are suspected of committing a string of thefts from four Suffolk pharmacies, along with a man, a possible getaway driver, Suffolk County police said Tuesday, offering a $5,000 reward for information that leads to arrests. The petit and grand larcenies took place in December at: two Medford Walgreen Pharmacies located on Route 112, one at number 2580 and the other at 1580, and two CVS pharmacies, one at 729 Portion Rd. in Lake Ronkonkoma, and the other at 1110 Rte.112 in Port Jefferson, police said. To submit an anonymous tip, call 800-220-8477, text “SCPD” and your message to 274637 or send an email through tipsubmit.com. All calls, text messages and emails will be kept confidential.